Carpenters work on an affordable housing complex being built by Nevada HAND on Boulder Highway, Monday, Jan. 23, 2017. 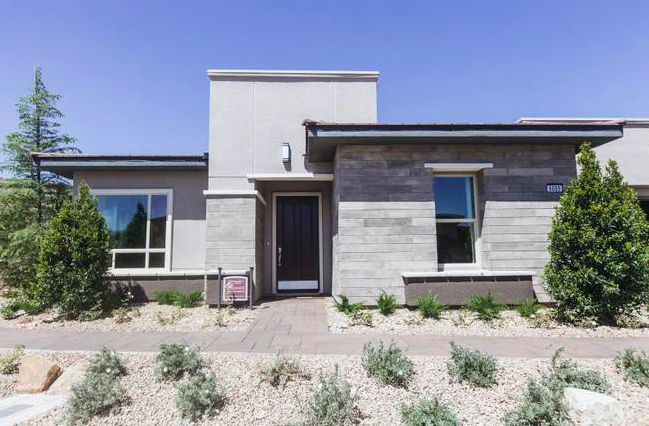 Nevada HAND is a real estate development company that focuses on affordable housing projects. Poor families seeking affordable housing are better off in any other metro area than Las Vegas. 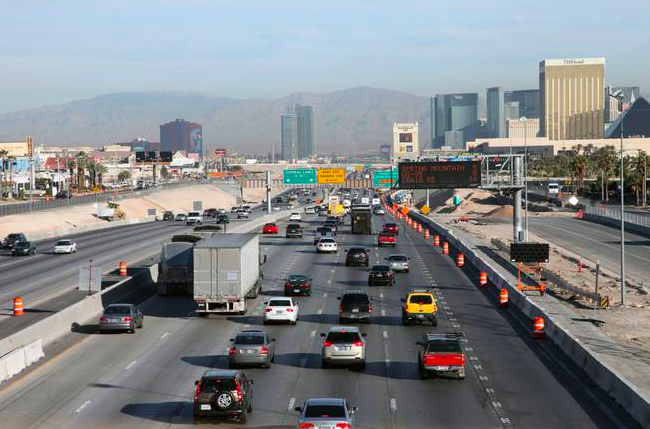 Nevada overall fares only slightly better, with 15 units available for every 100 households. A household is considered extremely low income if its annual income is at or below 30 percent of the area median income. The area median income in Clark County is $59,000. That means a family of four would be considered extremely low income at $24,300 or less. 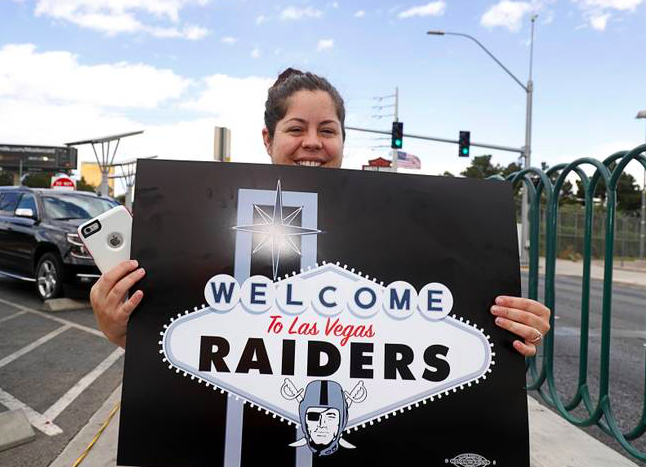 Raiders fan Brandee Chavez poses with a sign by the Welcome to Las Vegas sign after NFL owners in Phoenix voted to approve a Raiders move to Las Vegas Monday, March 27, 2017. The league, despite signing off last month on the Oakland Raiders relocation here, still doesn’t allow its players to make appearances at casinos. Remember in 2015 when Tony Romo couldn't participate in a fantasy football conference here? 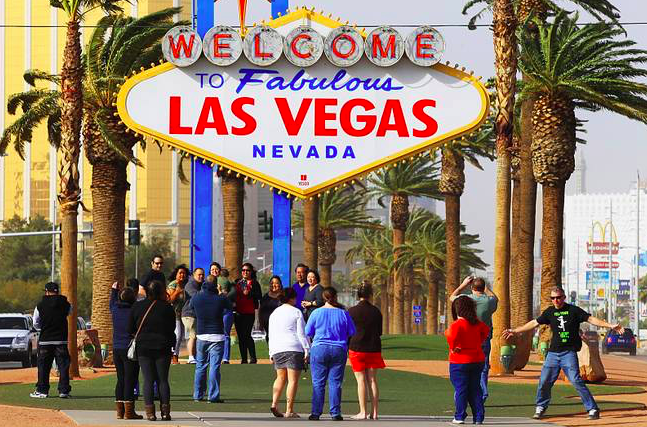 Tourists pose in front of the iconic Welcome to Fabulous Las Vegas sign in this file photo. A spike in millennial visitors to Las Vegas has the generation almost eclipsing Generation X tourists in town. 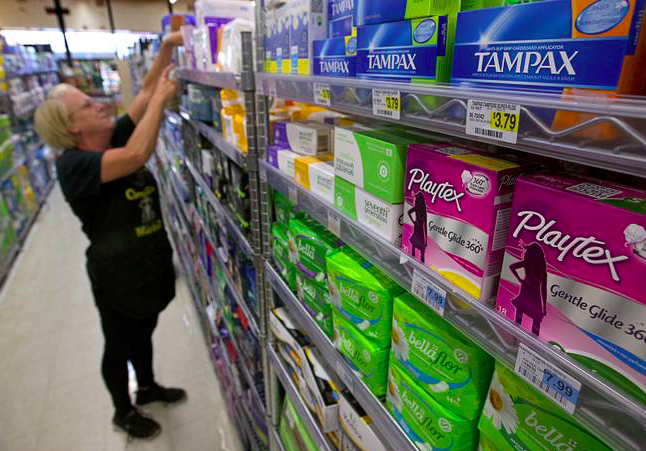 Lawmakers nearing a deadline next week have heard two bills that seek to temporarily end the tampon tax, with one measure also seeking to exempt diapers. With the proposed NFL stadium at Russell Road west of the freeway increasing their urgency, several road projects to address traffic growth on the Interstate 15 corridor over the next 20 years are in the planning stages. Police officers peek into a vacant North Las Vegas home that had been occupied by squatters, Wednesday, May 18, 2016. A new legislative measure aims to help authorities combat squatters. 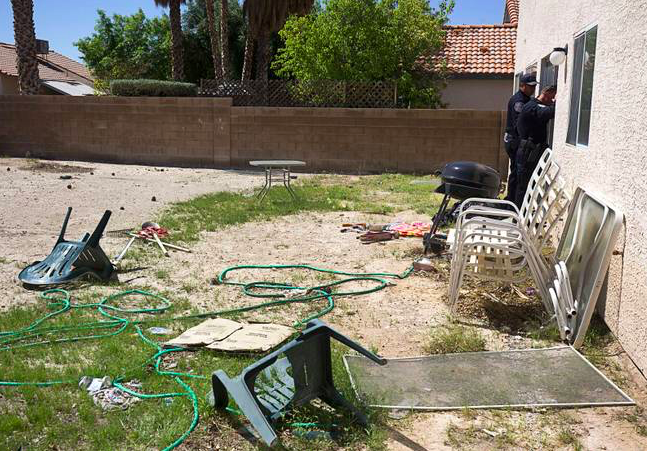 CARSON CITY — In August 2016, a Las Vegas property manager showed up at a vacant home where squatters had been reported and saw two people run out the back door. 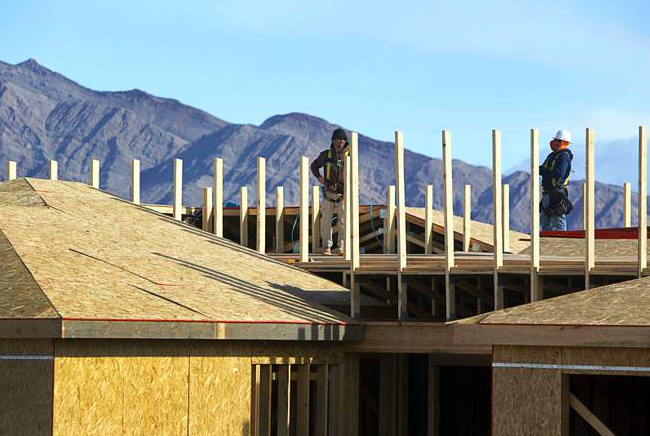 Despite an increasingly tight housing supply, the number of Southern Nevada home sales continued to rise in February, the Greater Las Vegas Association of Realtors reported on Tuesday. A view from the Wild West Cross Country 5K Challenge at Bonnie Springs in 2013. 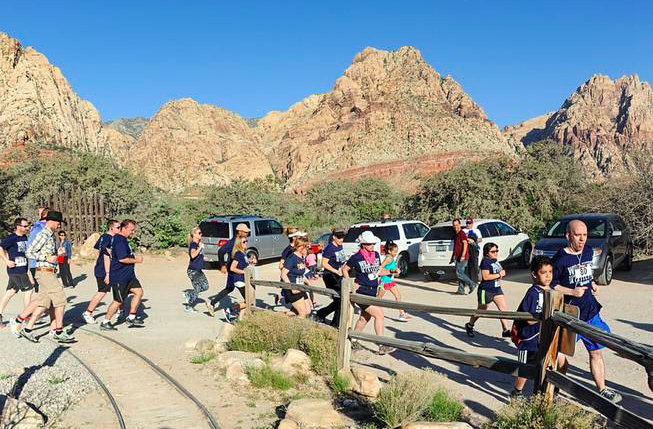 Participants of the family-friendly event, which runs through Bonnie Springs Ranch in the Red Rock Canyon National Conservation Area, have the option to race in the 5K, a 1-mile “fun run” and a quarter-mile dash geared for children under 5. Registration remains open and those interested can visit crosscountry5k.com for more details. Customers wait in a line that extends outside the new Pollo Campero, 1025 W. Craig Rd., Wednesday, April 5, 2017. The restaurant, founded in Guatemala, is the first Las Vegas location for the popular Latin chicken chain. No, Chick-fil-A hasn’t opened another Southern Nevada location. 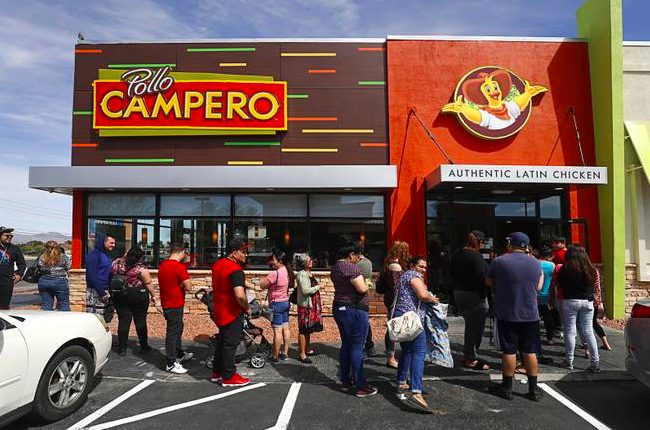 Rather, it is Pollo Campero — a Latin speciality chain with roots in El Salvador and Guatemala dating back to the 1970s. 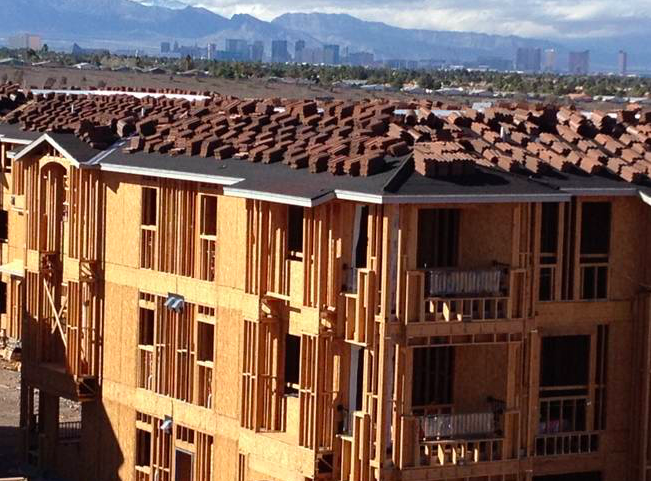 Construction continues on apartments near Stephanie Street and Interstate 215 in Henderson this month.